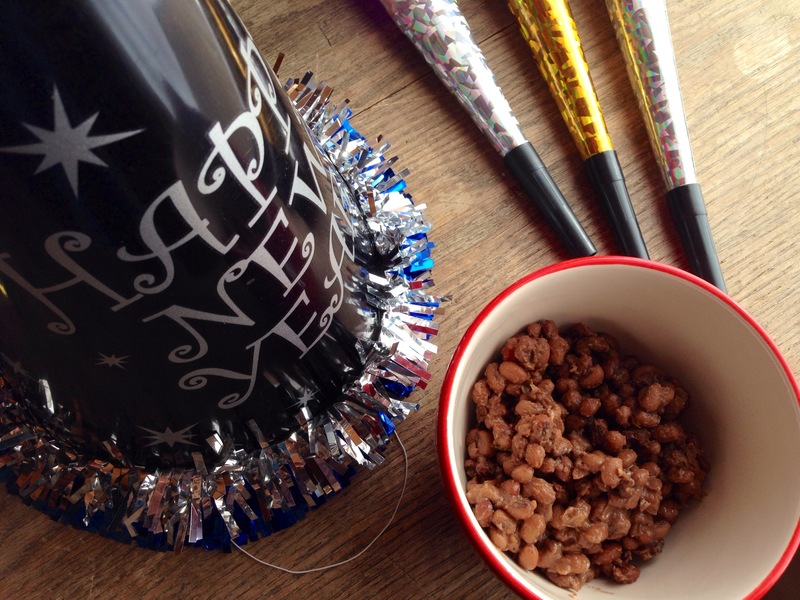 Did you eat your New Year’s Day peas? When I was growing up, my mother made peas every New Year’s day – green, from a can. In fact, all vegetables during my growing up years came from a can – I’m pretty sure that’s all that was available back then (insert sarcastic winking smiley face here). I absolutely hate green peas by the way, and refuse to eat any vegetable from a can. Why? One key word – MUSHY! So, I began thinking about why we eat peas on New Years and did a little research. There are several explanations. One suggests that eating peas dates back to about 500 C.E. and the Babylonian Talmud, which instructed Jews to eat peas on Rosh Hashana – their New Year. The Talmud instructed the faithful to eat symbols of good luck for the New Year, which not only included black eyed peas, but also things like leeks, beets, spinach, and dates. Another explanation for the eating of peas on New Year’s stems from the Civil War. Black eyed peas were animal feed and not considered good for human consumption. 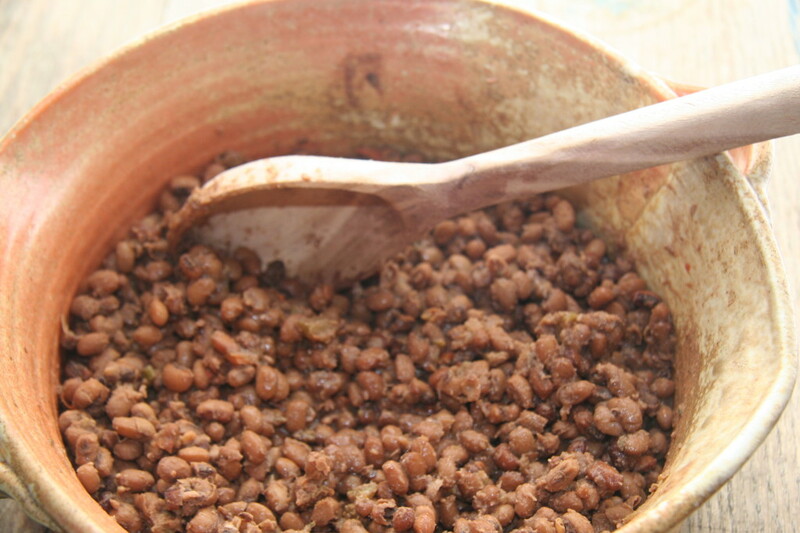 When the Union troops raided the Confederate troops supplies, they left the black eyed peas behind. The Confederate troops ate those peas throughout the winter months and survived for which they felt lucky. Another legend suggests that black eyed peas were the only food that the slaves had to eat on their first day of emancipation (January 1, 1863) and that from then on, black eyed peas were considered good luck. 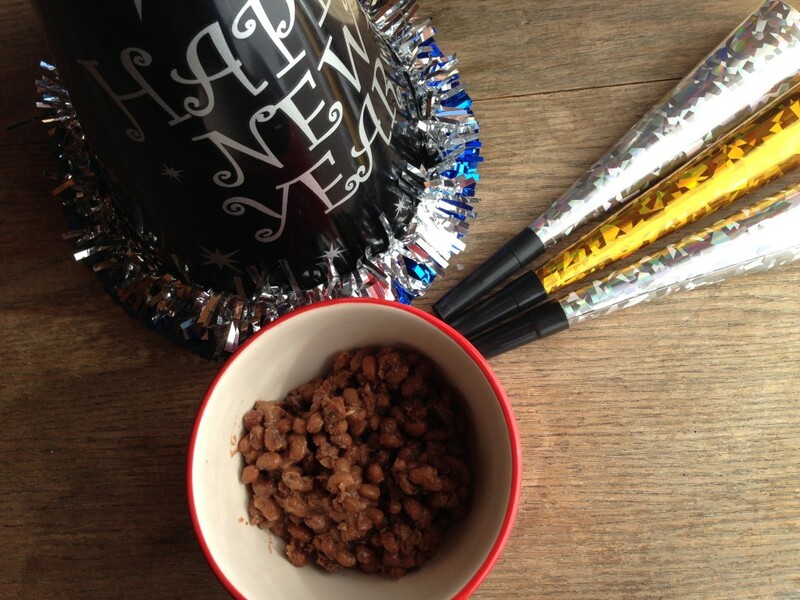 I didn’t take any chances on my luck for 2014, but this year, I broke away from my 17 year tradition of making black eyed peas for New Years, and I made something new – Sea Island red peas. Earlier this fall, I learned about red peas when Rhonda discovered Anson Mills an organic, heirloom grain distributer. We have so many Anson Mills products bulging our pantry right now it’s not even right – it’s the power of internet shopping for sure. Through the discovery of Sea Island red peas, I learned about the Hog Hammock Geechee community on Sapelo Island in Georgia . This community is at risk of disappearing due to increasing tax rates on land they’ve owned since days of slavery. Their Red Pea Project is one way the island residents are working to save their heritage and their land. 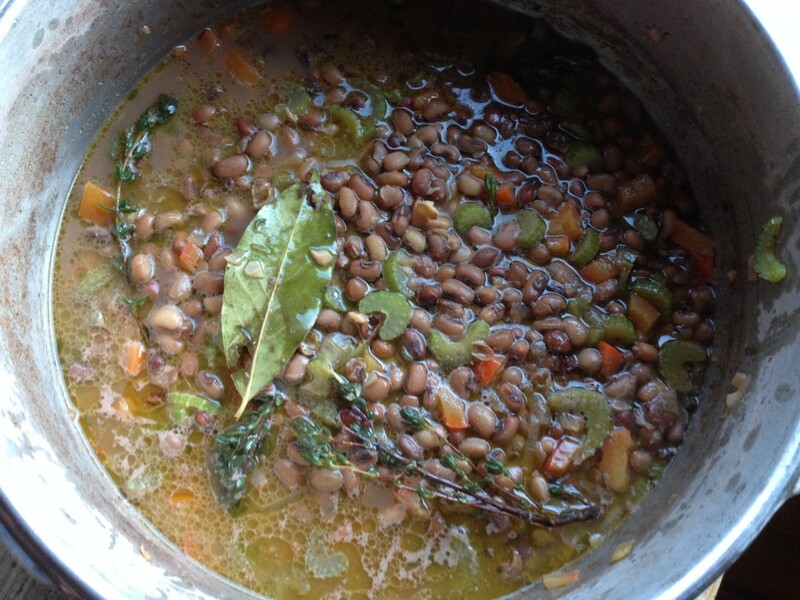 Next time, I make red peas I will make sure they’re from the Red Pea Project. Check out the video here to learn more about these people and their struggle, then run out and buy some red peas preferably from the Geechee people of Sapelo Island. It’s hard to believe another year has passed and that my life has been turned upside down. If you would have told me last year at this time, that I’d be living in the wild’s of Northern New Mexico, I would have told you that you were CRAZY. But here I am, jumping off into this grand adventure and wondering how it will all look in another 365 days. What will I accomplish, who will I meet, what will unfold is all a beautiful mystery. 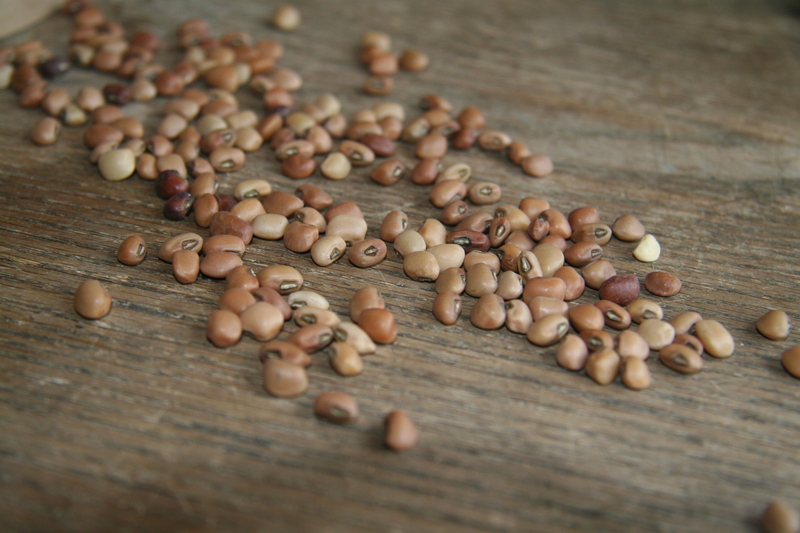 As this year unfolds, I hope that the luck of the red peas will be on my side! And as for you, I hope you ate some peas in some color or fashion this week. Luck is not guaranteed – we have to do our part to ensure that good fortune prevails as we welcome another new year. I hope you too jump off, and do something outrageous this year!!! Soak peas overnight in 6 cups of water. If you live at a high elevation you will need to pressure cook the peas after you’ve soaked them. Pressure cook the peas for 20 minutes. Do not drain the peas after pressure cooking. Remove the pressure cooker lid and add salt and bouillon to the peas and water. Bring to a boil then reduce the heat. Heat olive oil over medium heat and add all of the remaining ingredients except the butter. Saute over medium heat until translucent and soft – approximately 15 minutes. Transfer all of the saute’ed vegetables to the peas. Continue cooking for 30 minutes until all of the flavors have melded together and the peas become thicker. Add additional water as needed. Remove the thyme sprigs and bay leaves and stir in the butter. Serve alone or with a good quality cajun white rice. And, remember to ask the peas to bring you luck in the coming year. This entry was posted in Celebrating, Main Dishes, Miscellaneous, Peas, Recipes, Sides, Uncategorized, Vegetables and tagged Entertaining, Good Luck, Heirloom, High Altitude Cooking, New Year's Day, New Year's Eve, Peas, Red Peas, Sapelo Island Red Pea Project, Sapelo Island Red Peas, Sea Island Red Peas, Sides, Vegetables, Vegetarian. Bookmark the permalink. Lisa: Here’s hoping you and Rhonda have a healthy, happy New Year! I’m looking forward to visiting you this year. Must make my way to heaven,i.e., Santa Fe and Taos. About the peas: my mother served L’sieur peas from a can, beets, carrots, stew, chili, and more. So we were all beat up by cans!!!! Happy New Year to you and your family Pam. I hope this year brings everything you hope for. And, yes those canned vegetables – ugh!